Episode 006 of the Improve Glasgow Podcast is LIVE! 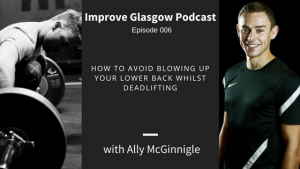 In this episode Ross Stewart and Ally McGinnigle talk all things deadlift. – How to make sure you engage the muscles you’re supposed to be working.